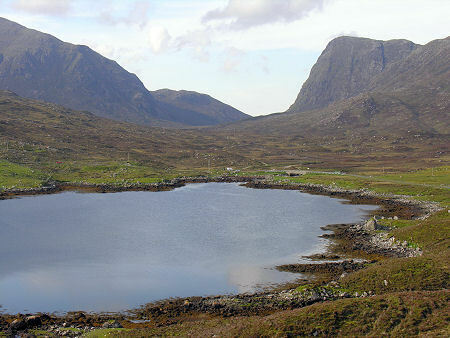 The mountains of North Harris provide such a formidable physical barrier that for much of history Lewis and Harris developed as if they were two separate islands. 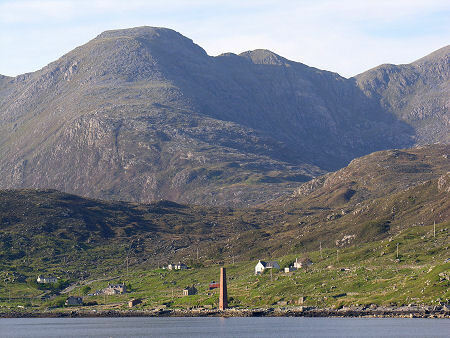 Today's road linking them is excellent and when heading south you follow the newly-improved A859 as it sweeps down from the shoulder of Clisham to reach the coast of Harris at Loch Bunabhainneadar. 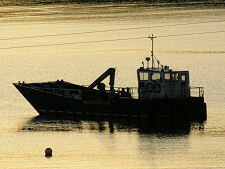 From here it is only a couple of miles to Tarbert and the temptation is simply to press on until you reach it. 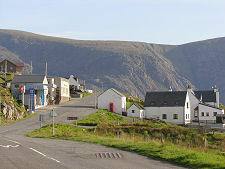 Do so, and you miss one of the most intriguing and attractive corners of Harris. 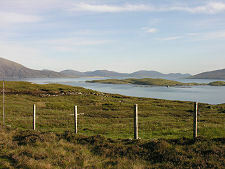 The sparse settlement of Bunabhainneadar is scattered along the B887 as it makes its mountainous way north west towards Amhuinnsuidhe and Huisinis. 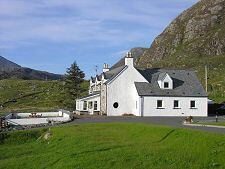 On the south side of Loch Bunabhainneadar is Ardhasaig, stretching from the petrol station serving passing traffic on the main road, down past the excellent Ardhasaig House Hotel to the pier serving the fish farming operations in the loch. 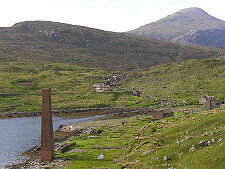 There are few better places from which to appreciate the scale and architecture of the North Harris mountains. The tallest of them is Clisham, reaching a height of 799m or 2,622ft. As it makes its way above the shore, the B887 offers some dramatic inland views. These are most spectacular at the head of Loch Mhiabhaig, where the road passes the entrance to Gleann Mhiabhaig. 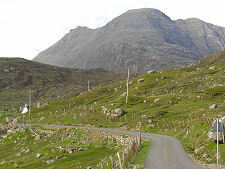 The glen provides one of the best routes into the interior of North Harris for those prepared to don their boots. Bunabhainneadar itself has two surprises. 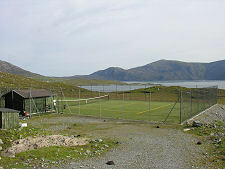 At its west end you round a corner in the road to find yourself driving past at the Bunabhainneadar Tennis Court. This is available for hire every day of the year (except Sundays) and racquet and ball hire, and coaching, can also be arranged. Not far from its junction with the A859, the B887 makes its way above a tall, square brick chimney located close to the shoreline. This is pretty much all that remains of the Bunabhainneadar whaling station. Whaling has no place in the modern world, but there is no denying its fascination in a historical context. The whaling station was established by a Norwegian company in 1904. A fleet of 90ft whaling vessels operated from here each summer and autumn, catching whales as far afield as Rockall and St Kilda. Whales were harpooned and, once dead, inflated with compressed air to keep them afloat, then towed by the whalers back to Bunabhainneadar for processing, primarily into cattle feed and fertilizer. 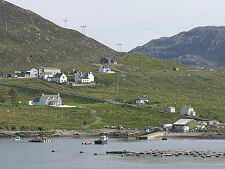 The whaling station was purchased in 1922, together with three whalers, by Lord Leverhume, at the time the owner of Lewis and Harris, and the man who gave his name to Leverburgh. His plan was to process whale carcasses to produce oil for soap, and meat which he planned to turn into sausages for consumption in Africa. It was already clear that the idea was a failure by the time of his death in 1925, and the whaling operation at Bunabhainneadar ceased almost immediately afterwards. The whaling station was reactivated by Norwegian interests in 1950 to support a single whaler, the Empire Unitas V. In the first year of operation 33 whales were killed and brought back to Bunabhainneadar for processing, plus 25 in the second year. The whaling station then closed for good.